We’ve surveyed our guides, our favorite fashion mags, and the handful of NYC designers we know personally to bring you this list. If you have a trip to New York coming up, and you want to fit in, here are some suggestions for you. Bonus tip: leave your white tennis shoes at home. Maybe jewelry is the last thing you pack… and therefore most likely to forget! But here at Shop Gotham we believe accessories, like shoes, can make or break an outfit. This season fashionistas are wearing rugged, metallic jewelry with just the slightest hint of bling. 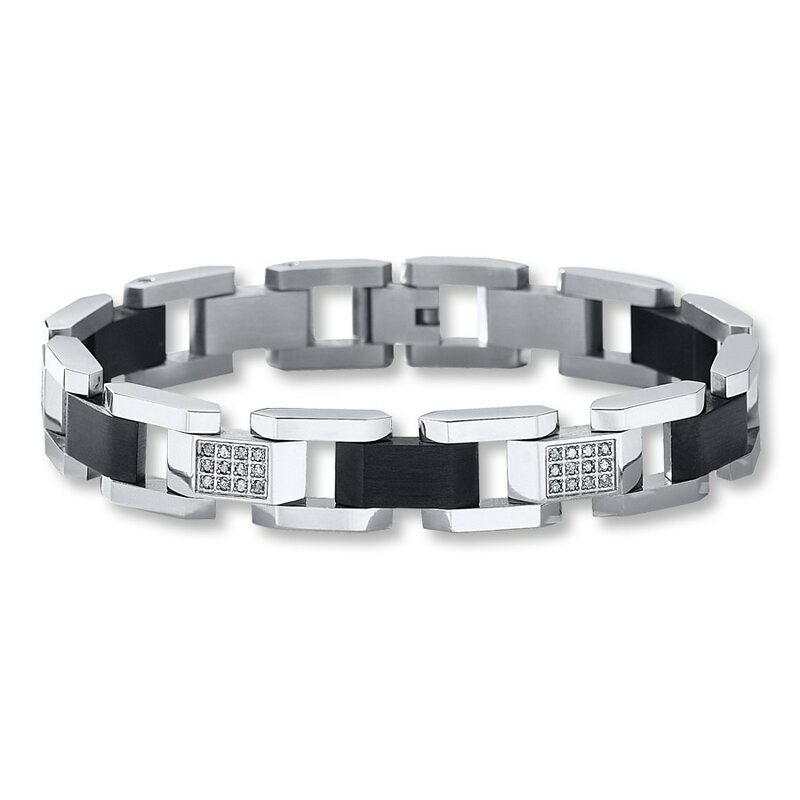 Check out this stainless steel bracelet for inspiration. Yes, the website says it’s for men. But this trend leans toward the masculine. Be bold! This is New York! You can find the perfect piece on a Shop Gotham Soho Tour. The emergence of veganism coupled with the economic downturn has led fashionable New Yorkers to embrace faux leather. And it’s so much fun too! Not since Michael Jackson’s Beat It album has leather been this daring. So pick up a flashy, fun, fake leather jacket at trendy retailers such as H&M or Forever 21. You won’t regret it. And you’ll fit right in in New York! Maybe you’re only headed to New York for a quick weekend of theatre and dining. Maybe you’re checking out a local university, or maybe you’re in town to catch up with old friends. We did a quick survey of our guides, asking them, “If you had to pack one outfit, what would it be?” Shop Gotham president Marla Hander put it most succinctly: “Tight jeans or pants, shortish leather jacket, long cool top, ankle boots.” This comfortable ensemble dresses up or down, fits easily into a suitcase and won’t wrinkle or rip easily. New Yorkers wear it for pretty much every occasion. “On the Upper East Side,” Hander adds, “I’ve even seen it at pre-school pick-ups.” You can’t go wrong!